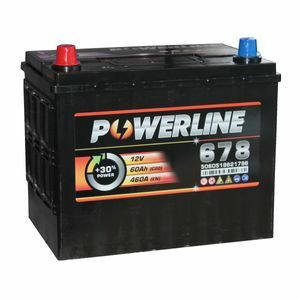 This battery is fitted to my campervan and is providing excellent reliable power within the van. Very happy so far . Looks a good quality battery. Good delivery. Brilliant! Quick posting very happy with the product. Thanks. Excellent service and product at very competitive price. Livraison ultra rapide, batterie hyper bien protégée, une légère petite fuite dû au transport sans gravité car plastique étanche et sous vide installé. Tout simplement parfait. Je recommande +++++++ Merci. Thank you ? for the excellent service we received from you, next day delivery and at a fantastic price. Battery came fully charged and we were able to use it straight away...Highly recommend this firm will get all our batteries from them in the future.... Again thank you ?? Good product, very securely packaged and delivered promptly. A later technical query by email was answered quickly and resolved my question. Excellent product and service. Does what it say on the tin. Perfect for my camper van need and very good value. Local collection for me on a Saturday was very useful.